In December of 2010, Bouazizi, a frustrated Tunisian street vendor, set himself ablaze and soon died of his injuries. The immolation effectively depleted the tolerance capital of Tunisians and they toppled the 23-year dictatorship of Zen Al Abideen bin Ali. However, not many realized that the Tunisian uprising was the eye of the storm that would engulf all countries across the Middle East. In February 2011, the popular uprising spread to Egypt and resulted in the overthrow of the 30-year dictatorship of Husni Mubarek. Spontaneous protests followed in many other countries and the spark ignited by Buazizi unraveled the many troubles of the region. That flame resulted in the current scenes of wreckage and chaos that is prevalent in the Middle East, from Libya, to Syria, to Yemen while the always present Palestine crisis has been put on the back-burner. The countries of the Middle East and adjacent regions are no more what they used to be before the eve of 2011. Since then, many wars were ignited, hundreds of thousands of people were driven out of their destroyed homes, and the region is now littered with remains of body parts, of properties, and of shattered dreams that are moistened with blood, sweat, and tears. Meanwhile, the usual political manuals that were devised by European powers—particularly by Field Marshal Kitchner and Winston Churchill—for dealing with the Middle East, to distribute the territories of the Ottoman empire during WW1, are being dusted to be used again. Incidentally, the only difference is that today Iran is a major player, with its fingerprints all over the region, unlike during WW1 when it hardly had any political significance except for its territories which the Russians and the British were conspiring to covet, and the “British India” government was a major “stakeholder”. 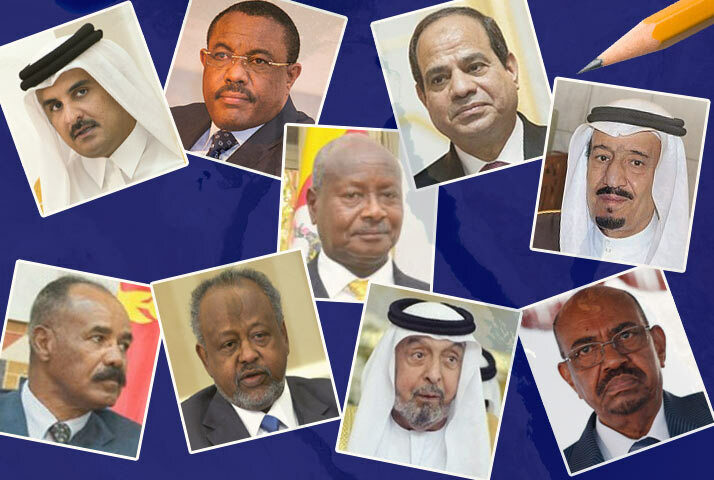 The current Middle Eastern alignments, realignments, and political joggling and jockeying have reached the Horn of Africa; every country in the region is exerting efforts to have a seat at the poker table. Naturally, some hold winning cards with Aces, while others are simply poised to lose with a small chance of winning. They are depending on luck, true to the tenets of gambling. However, as in any poker game, those with bottomless pockets can outlast the humble pocketed, even if they gamble with the lives of their people and the future of their country worth. The Yemeni crisis has pulled the countries of the Horn of Africa like a ruthless magnet. Likewise, the major players of the Middle East are in turn pulled by the Syrian magnet. The merciless Russian big stick that lately showed its cruelty in Aleppo and proved its recklessness, has frustrated many governments and resulted in the nervous diplomacy that is going on. Focusing on the Western coast of the Red Sea brings us to Eritrea, a country that straddles the Sudan to the West, Ethiopia to the South, and Djibouti to the East. The circle is enlarged to include other countries: Uganda, a Nile Basin country, Somalia, which is too close to ignore, and Egypt which sits on the mouth of the Nile which remained a source of anxiety and tension for more than a century, particularly between Egypt and Ethiopia. In Ethiopia, the vision of the late Meles Zenawi to harness the Nile waters and transform Ethiopia into a major power producing country is being impressively realized. Recently Ethiopia inaugurated Gibe 3, one of the few biggest dams in Africa, which will double Ethiopia’s current power production, while the Great Ethiopian Renaissance Dam (GERD) that was wished dead on arrival, particularly by partisan Egyptian agitators, is only 30% away from completion. The current Nile craze started with the toppling of the 30-year dictatorship of Mubarek and the election of Mohammed Mursi representing the Muslim Brotherhood (MB). Roughly a year later, Field Marshal Abdulfattah AlSisi toppled Mursi who had appointed him chief of the Egyptian Armed Forces. Since then, Egypt is going through a perpetual internal conflict. Mursi’s party, the MB, didn’t accept AlSisi as president, though he legitimized his presidency by an election after toppling the elected president. Other sectors of the Egyptian people who accused the MB of transgressions, and felt excluded and mistreated, particularly Egyptian Christians, liberals, and unaffiliated, threw all their weight behind AlSisi. Egyptians, mainly MB partisan cadres, are still using the Nile as an agitation card, and that seems to have forced AlSisi to rethink his Nile politics to ease the emotional public pressure. On December 16, Egypt’s AlSisi finally made a one day visit to Uganda, the first by an Egyptian ruler since the time of the last Egyptian Pharaoh who ruled 4000 years ago. However, on the same day Ahmed AlKhatib, the Saudi king’s special adviser was visiting Ethiopia and made an unannounced visit to the GERD. Any of the two visits could have been a reaction to the other. In the end, the political rift between the two countries is not expected to be resolved anytime soon—the conflict first surfaced over difference on policies regarding Syria, then a scheduled trip to Saudi Arabia by the Egyptian prime minister in February was cancelled, that was followed in the same month by Saudi Arabia cancelling a planned investment in Egypt worth around $8 billion. The agreement included a five-year supply of oil to Egypt. Saudi Arabia is heavily invested in two countries: Syria and Yemen. While the Yemeni conflict has pulled in both Sudan and Eritrea to varying degrees, the UAE is attempting to stretch its muscles in the region—according to unconfirmed reports—and it has established its presence in Assab, an Eritrean Red Sea port opposite to the Yemeni coast, and a stone throw away from Djibouti, the hub of international military bases. That, in addition to Iran’s real and perceived expansionist plans, has made the Gulf Arab countries nervous to secure their interests around Bab ElMendeb, the southern entrance to the Red Sea. The Gulf Arabs had their differences over the years: Saudi Arabia and Qatar had a border issue, Qatar and Bahrain had a similar conflict over the Devil Islands that lay between the two countries, UAE has a major difference with Iran over the Abu Musa Islands. Only Kuwait is excepted from land disputes with its Gulf neighbors. However, they all know their interest is intertwined and they come together for the sake of self-preservation, in a fold led by the elder brother, Saudi Arabia. That is why the Gulf Arab countries are aligned behind Saudi Arabia in Yemen, in varying degrees—as far as they are concerned, the Yemeni conflict is essentially an existential conflict for all of them: it’s about stopping the expansion of the influence of Iran, their mortal enemy. However, Sudan and Eritrea could only be involved in Yemen for the sake of financial rewards.Since the Nile straddles Sudan, its involvement is also motivated by existential reasons, while Eritrea has no significant Nile influence, but under Isaias Afwerki (25 year dictatorship) it can play a destructive role in the security arrangements of the region and would certainly be taken into consideration. Nevertheless, the above-mentioned countries are very concerned, their politics will depend on economic opportunities, safeguarding their investments, and the Nile waters—it boils down to the Nile, even as it evaporates. Around 80% of the Nile flows out of Ethiopia while the rest is from other countries such as Uganda. In 2013, Saudi Arabia started in good terms with AlSisi, but recently their relations soured over Syria when AlSisi sided with the Russians. In addition, Egyptian sources claim that a recent deal between Saudi Arabia and Djibouti has further soured the Saudi-Egyptian relations, and that Egypt feels the deal was concluded behind its back when it should have been informed. Thus, as a counter-reaction, AlSisi invited Isaias Afwerki of Eritrea, who visited Cairo on November 28. Also, by the time this is published, the Qatari foreign minister should have arrived in Ethiopia for an official visit. Qatar which has been supporting Isaias (25 years in power) of Eritrea seems to be having a second thought about its regional relations and has established a fast-growing relation with Ethiopia. Saudi Arabia has committed itself to considerable investment and is studying to have a stake in the Ethiopian economy, in agriculture and energy, particularly in the distribution of power and renewable energy projects. Djibouti is afloat because it managed to secure lucrative investments and to host almost all major military powers of the world. In addition, it has long replaced Assab port, Eritrea, as a major outlet for Ethiopian businesses and is successfully serving the Ethiopian economy and its 100 million strong population, by expanding its port facilities with specialized berths. Lastly, Sudan’s AlBashir (27 years in power) has perfected the skill of rope walking and is navigating the situation confidently, he managed to have balanced relations with Ethiopia, Egypt, and the Arab Gulf countries. And you do not need more information to determine who the biggest loser in the region is—it’s Eritrea as a result of its regime’s abysmal internal and external policies. Now post Bouazizi and post Wael Ghonim’s facebook revolution, most of the countries are bleeding, and are ravaged, and burdened by raging conflicts and human rights violations, and by tyrants who seem to be entrenched to stay forever. The miseries don’t seem to have an end. While some leaders are still playing brinkmanship with the fate of their people, others are tweaking their policies to benefit from the fast-paced regional developments. But this time, the wave that is hitting the shores of the region is not an experiment like the facbook inspired revolutions of 2011. The incidents of this month alone tells the future of the region: two suicide bombings killed about 100 people in Aden; another one killed close to 50 people in Istanbul; tens of thousands of civilians are being mercilessly bombed in Aleppo; and yesterday, as if adding the last straw to the load of the region, the Russian ambassador to Turkey was killed in Ankara. It doesn’t look like 2011 at all, but more like the first weeks of WW1, when British and French ships attacked Turkey at the Dardanelles to dismember the Ottoman territories. This time, the dark clouds are looming over the region from the Dardanelles, the narrow waterway that separates Asia from Europe, to Bab ElMendeb, the narrow gateway that separates the Red Sea from the Indian Ocean. Correction: the number of people killed in Istanbul were wrongly reported as close to 200. Don’t forget your palaso (trenches) The Egyptian are good at using F**k-18 and we are very good at converting Pyramid into ashes. Few days ago eritreans at home and abroad celebrated Eid Almowld. In few days erotreans will also celebrate Christ mass. Hi Thomas, you are an idealist. There is no country anywhere in the world which is not homogeneous that has any industrialization or any kind of improved living standards for its people. 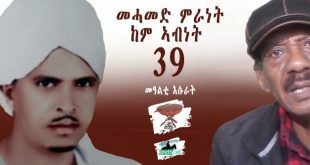 If you believe 9 biherat will share power equitably and live happily in Eritrea, you are still in the dream of 1991. That pursuit has proven futile. Even PFDJ has almost abandoned that idea of hade hizbi hade libi. 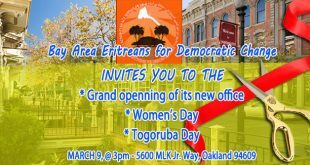 Do you ever see any of your jeberti compatriots in anything that has to do with Eritreans – hazen, wedding, fundraising, indpendence day, anything? When was the last time you saw a jeberti or muslim Eritrean in your city? They leave Eritrea and guess what happens? They get radicalized and follow the tails of Afghanis, Palestinians, Pakistanis, heck even Somalis. If you think religion doesn’t play a role, you are the one who needs to grow up? What is Al Nahda? You don’t even know. This website has been in the business of confusing innocent people like you and keeping IA and PFDJ where they are. If you think they are fighting to depose IA and PFDJ, again you are a fool. The great YG once said something to the effect that “he (Younis) wants PFDJ and IA to continue what they are doing because they are doing the dirty job of eradicating the Kebessa people.” You are being replaced! Islam is an expansionist religion. It goes all the way back to the days if Ahmed Gragn, who burned our sacred gedams and destroyed our sacred books. The turks, the Egyptians, the mahdists. If it weren’t for the heroism of Yohannes the IV and Allula, your name would be Himado or Ali or something like that right now. Thomas, you are a smart guy. Take a week this Christmas season and do a little research. Just look around you and read between the lines of the editorials here. Hi Mizan; lol, you are losing it. I got news for you, Eritrea is 50/50 and Eritrea should join the Arab league and Arabic will be the official language of Eritrea. That way people like you will move out to Tigray, so Eritrea can live in peace. people like you, religious thugs have no place in 21st century. if you ask me, religion should be eradicated from the face of this earth and it will. Like when you loose your teeth…or kind of toothless. Common Lamek! This is obviously red herring by YG at best or excessive bigotry at worst. I can’t believe you are taking this ridiculousness seriously. Younis and his family has suffered more than the average Eritrean under the current government and here we are making him responsible for our imagined paranoia. How in the world can you justify such a blatant, inhuman, and cruel statement? What is he doing the Semere Ts of the world are not doing to “eradicate Christian Eritreans” from Eritrea? Or are we supposed to fill in the gaps by reading “between the lines” whenever we lack proof? I always had great respect for your daring attitude and for speaking your mind, but this is too paranoid to warrant any discussion at all. Hopefully Lamek will take your advice! Be kind and tell us in simple English what you wrote on para..three. The paragraph in question was based on the following three points Lamek made in his response to Thomas. That was contrarian judgement to the core. My mentioning of Semere T (sorry Semere) was to show the weakness of Lamek’s argument, and that is if supporting and or encouraging PFDJ means conspiring to “wipe out Kebesa,” who should be guiltier; those who support PFDJ wholeheartedly or those who suggest keeping the good in PFDJ, change the rest, and move on? a) In the southern half of Eritrean refugee camps in the Sudan, where I worked at for four years long ago, there still are hundreds of thousands of refugees some of them born there and getting old. There has never been a serious discussion, let alone a solution, about them anywhere I can recall. b) The Eritrean Afar Muslim refugees in Ethiopia alone are just about equal in number with their Christian compatriot refugees. Nobody knows the proportion in the west. (You have no idea how silly I feel talking about “proportions” here). c) If we must associate religion to all things Eritrean, then the elephant in the room is “Isaias Afewerki.” Eritrean government is a Christian government! Case closed. 3. As smart as Lamek is it was too disappointing to witness him suggest “read between the lines” as proof of Awate’s guilt. The mind is a tricky muscle to control. If we start to obsessively look between the lines while ignoring the glaring facts, all we will see will be lions and tigers and off we jump to the cliff! i thought i asked a simple question, and was expecting a brief answer, and after reading your comment i was “wow” what is happening i didn’t see…. i was compelled to read what that xxxxx has written. ato fanti, this xxxx comes with different nick to foment disharmony within Eritreans in this forum,it is holidays – i choose to ignore him. thank you and happy holidays.. Your Greatness; forget the likes of Lamek; they display everything what is wrong with religion. infact, my greatest respect for SAAY comes from his conviction and his love for his country. he endured the most injustices under the current government of Eritrea but he never lost his site at the bigger picture and at the nation as a whole. I have read his entire writings and he is able to differentiate the government and the country, that is till his last post. it pains me to see people like Lamek taking a cheap shot at the great SAAY. Thank you for wrapping it precisely and so beautifully brother Nitricc. Nitrric, you should make a new year resolution to reconcile with Tes. With the exception of the time he went after MaHmuday, I see a lot of maturity and restraint in his writings. You should follow suit. If you young ones are going to write the next chapter of Eritrea, you have to abandon the short fuse and long nails of our generation. Eritrean Muslims and Christians have lived side by side for thousands of years. And nothing has changed today. We’re still – friends, neighbors, schoolmates, coworkers, employers and employees, soulmates, serving our country and dying side by side, falling in love and marring without any fear of rejection by our family members or religious leaders (of our faith)…….. In fact I would argue, Muslim-Christian relation in Eritrea is better today, and is getting even better each day that passes. Eritreans of this generation know better about themselves and about their Muslim brothers (of all ethnics) – than their fathers, grandfathers, and great grandfathers. 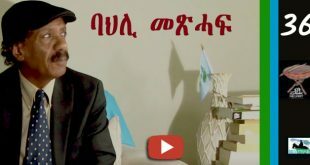 Lamek: what I don’t understand is – Why do you believe YG or need explanation from YG, when you can see the Eritrean reality for yourself? Have you seen or heard Muslim-Christian relations getting worst in Eritrea (take the PFDJ government out of the equation)? I haven’t. Why do you fotmer fighters insist on telling us what Eritrea and Eritreanism is. This unity you are talking about has bever veen tested in normal circumstances. It has alwasys demanded an external threst or an iron fist to stick together. We can clearly see that the Tigrinya society is at its weakest state since the Colonial days. They are like sheep without a a shephard, happily heading towards the slaughterhouse. Why should we keep sleepwalking? …..and your point is, unless you are pretending? The reality is everyone is suffering as a result of brutal tyrant, and by the same token, everyone also struggling to end that cruelty. Now, are you saying only Tigryna lives matter? If thats your point then the junta military and its cronies are almost all Tigryna. That means your crying should be directed straight to the responsible ones, not to the people who are searching for peace. Or, if you have something in mind, be concise and clear. On the other hand what if the DIA were from other ethnic group, would you accused him of genocide to say the least? Mr. Peace. For your information, the muslims in Eritrea are far better off than most muslims in the world, at least in the developing world, thanks to Wefri Warsai-Yikaalo, which enslaved the Tigrinya people in the hopes of bringing the nomads of lowland Eritrea in equal footing. I wish I can say I disagree, but there is no substance to even entertain your choice as hate doesn’t consider as a choice. I see no point going any further because you are too radicalized (thanks to YG and Tesfatsion) and you are too hateful to engage with. I really do not care how much they spoil you here with you changing your nicknames a million times (more than awatisa “Hope”) and falsely accusing people although they are more than capable of defending themselves, but when it comes to demonizing the whole ethnic Jeberti or any other group you should not be tolerated because the abuse it entails goes far beyond the moderator. I think you can relate to my concerns. I have seen you being very vocal about the situation for muslims in Eritrea and even your brethren in Ethiopia. Godd for you! So why can’t I be concerned for my oeople? Even if the rulers are mostly Tigrinya, I believe they are first and foremost loyal to their communist ideology. Not Tigrinya or Hamassien. I was not burdening you with my question, I asked Semere T. for clarification. The premise of my argument is that the unity of Eritreans is a fairytale that cannot be obtained without a common enemy or a despotic rule, which hurts the whole society in different ways. What did say other than we all are suffering? As for your other point, I wish I can be as vocal as you seem to think, but I was just responding to some hypocrites with difficulty in distinguishing between Arab dictators and the religion of Islam. I do not know if that makes me a vocal, and by the way, I am Tiygrinya too and thank you for speaking up for me. I’m just going by the names justice seekers want to be called. According to them a Tigrinya-speaking muslim belongs to the jeberti ethnic group. Am I wrong? I was talking about your advocacy during the aHbash turmoil in Ethiopia. Oh ok well, hmmm needless to say I would take turmoil over mystery. Nean? Why? You asked a simple question and the simple answer is, Tigrinya speaking christians are Eritrean Tegaru. You seem satisfied with your last remark 😀. I’m well aware of the distinctions between state, language and the different ethnic groups within the state of Tigray. 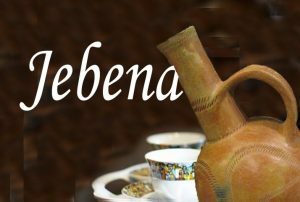 It doesn’t bother me to be called by my language in Eritrea (even if I suspect that it is another way of distancing the people from their kin south of the mereb). I’m telling you we are the same ethnic as the Tegaru/Tigrawot. Not Irob (Saho), Kunama or Jeberti. There are half a million ትግራዎት Jeberti too, are you including yourself? Anyways I am not here to bothering you I was just curious to know your ethnicity as much as you know mine. other than that It is your every right to call yourself whatever choose to or fits your wishes. I never asked for your help. I just answered your questions and you seem to be satisfied with your remarks (snarky). Hope it gives you s good sleep. Me and you, We are like hay and clay. No matter what you thonk of the other. It is what it is. What gives me a good sleep is knowing who I am and what my language is ካብ ነይ መንነት ቁሉውላው ነጻ ሙኻነይ. I identified myself as Tigryna in the first place, but for whatever reason you excluded me as Jeberti. I said Good! and asked you about your ethnicity which turned out you don’t seem to have one rather you choose to use your language as your ethnicity which again still fine with me, except I wonder why you denied me when I try to use it. Obviously I am not an expert here but at least I know the basics ቁንጣሮ of my identiy to help myself respond to those who undermine others, but don’t have one. When people deliberately misunderstand and personlize issues, then it’s a good time to end a debate. It will not be fruitful. Don’t worry about me, I know exactly who I am. May be he knows AGAZI is a myth, never existed, or had he said that, the next logical question would be what about the Tigrinya speaking Catholics, Kenosha and others because the myth AGAZIAN reffers only to Tigrinya speaking orthodox followers. This is nothing but TPLF’s desperate plot that after twenty five years of deceptions and looting, the people of Ethiopia have finally woke up and determined to bring the ongoing robbery of their fertile land and resources to an end. Regrettably, the poor Tigray people are no longer welcome in almost all part of Ethiopia of course other than Tigray region and those who have been displaced gave testimony that they will never go back under any circumstances. What TPLF is now doing: distract people as much as possible perhaps with Renaissance Dam, Egypt, Terrorism, and explore other options quietly because it understands that what’s happening now in the country is a game changer and irreversible, even with a decade long state of emergency. Investors and powerful nations have already made their mind and will no longer be fooled again. Finally, TPLF’s GPS is no longer working and the only visible thing the panic drivers see is AGAZI with an arow sign toward the north. Argument #1. Which is my argument. RELIGION (faith) is personal. It is between you and your God. And it belongs only at your place of worship and in your home with your family. NATION is for all (for diverse communities in every way). It is a no, no to mix them both. If we manage to separate successfully religion from the state, or religion from politics – as far as I’m concerned, how many more Muslims than Christians are walking in a given town or region, or, how many more Christians than Muslims are arguing in a government building is irrelevant to my life and yours. I disagree. Eritrean Muslims and Eritrean Christians have lived side by side without any religious violence since the day Islam and Christianity was introduced to them. If thousands of years is not enough TESTING for you, then how many years is? I don’t really know the “external threat or iron fist” you’re alluding to. As far as I know, since time immemorial Eritrean Muslims and Christians have lived side by side without any violence. I disagree with you, the PFDJ camp would disagree with (I believe), many outside the PFDJ camp would disagree with you. But, instead of just saying it, why don’t you make the case for your argument? why don’t you enlighten us? Why don’t you tell us why the Eritrean Tigrigna society is at its “weakest state since colonial days – without a a shepherd, happily heading towards the slaughterhouse”? Don’t be just be an alarmist, inform us. And I don’t believe you’re capable of making a persuasive argument for your clam. But please prove me wrong, so we all can benefit. Ethnic Tigrignas has made Eritrea ethnic Tigrigna land. Eritrean Muslims has become landless. 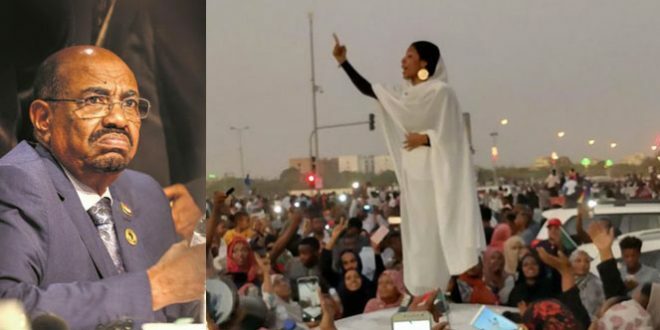 Eritrea is Tigrignanized so much, Eritrean Muslims has become second class citizens……..
Now tell me: what makes you think you’re right – and not I (Semere Tesfai) or Al-Arabi? Rather there is a a belief and religion. These are two different things. Belief is of personal, as you are saying. And people, two and more come together and structured their belief in such away that they agreed to follow certain paths, then it becomes Religion. Religion is therefore not personal but collective. Belief is most of the time neutral and does not bring any conflict of interest but religion is. According to my philosophical view, Religion is a constructed Institution based on belief. Belief is natural and comes from inner drive. Religion is external and needs protection. And when there is protection, confrontation develops so is what we are observing between religions. 1. There are people who have a deep belief but without a religion. 2. There are people also who belong to a certain religion but without any belief. In fact, case number (2) is so common now aways as religion is a default practice in a society or a given family. Take for example a child who is born in religious family. Since his birth he inherits his/her family religion. Later on, he/she might find that he has no belief but just a religion. This is a common reasoning among people who convert their religion when they realized that the religion they belong does not fulfill their quest for meaningful life. I’ll get back to you as soon I get a chance. A bit busy around christmas. This citation about Gragn and Ethiopia is from, but it is also valid for Eritrea. There is even a place called dembe Gragn in the vicinity of the area where I was born. ii) Muslims have tales of persecutions during the era of Yohannes IV too. iii) The Arab League was making a great effort in supporting Eritrean unity and independence’ and that the overwhelming majority of Arab League member nations at the UN; including the Egyptian government, were committed to the independence cause.” However, as the league’s activities progressed throughout 1949 and into 1950, its leadership also moved ever closer toward the aims and mission of Pakistan in its appeals for international Muslim solidarity. 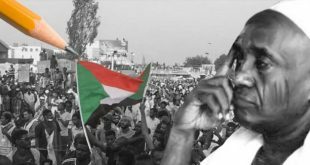 If activists in Egypt became an important strategic base from which to build on sympathies in the Arab world, Pakistan embodied the ideal result of what the Eritrean Muslim League hoped to achieve. So Ibrahim Sultan believed in the Two-Nation theory. Tthe basis of creation of Pakistan. It states that Muslims and Hindus are two separate nations from every definition; therefore Muslims should have a separate homeland in the Muslim majority areas of India, where they can spend their lives according to the glorious teachings of Islam. Most of our Christian forefathers sought unity with their kin in the south, even WelWel wanted unity with Tigray. So where is the unity and peaceful co-existence fairy tale? While it may seem like pre-history, the descendants (Mejlis Ibrahim Mukhtar) of the league leaders are still providing guidance to the current opposition. You may remember their publication “The Eritrean Covenant”, a document that claims that the Christian migrants are traitors like their forefathers. iV) Nehnan Elamanan, showing great tribal and religious division within the ELF (guided by the principles of the muslim league). V) 1981. EPLF + TPLF ousted ELF. How is the highlanders thriving in today’s Eritrea? When we see that in most families, only old people with their jebenas are left in the the villages? Have you been to Eritrea lately? It’s empty of its youth. No youth, no future for the highlanders. Ibrahim Sultan may have been right after all. Eritrea is 75% muslim, but he was wrong on the remaining 25%. We do have affinity to our Tigrayan brothers and sisters. Thank you for your detailed and very respectful response – in advance. – All Muslims (Eritreans or not Eritreans) don’t believe on “separation of state and religion”. 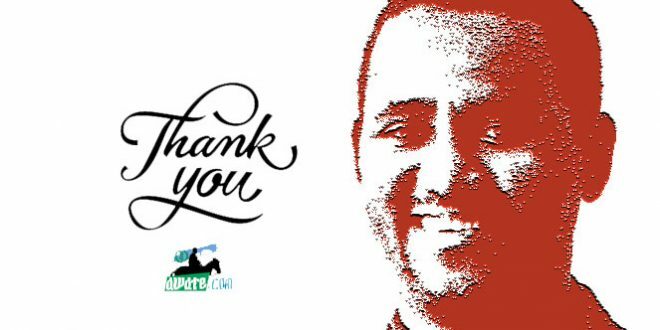 – “In Ethiopia, the damage which Ahmad Gragn did has never been forgotten,” and the possibility for a future Ahmed Gragn in Eitrea is a sure thing – just a matter of time. – “The Arab League and Egypt were making a great effort in supporting the ‘Eritrean independence’ cause” – driven by sinister motive – “international Muslim solidarity” and to hurt Ethiopian Christians. – That the “Ibrahim Sultan claim at the UN – approximately 75 percent of all Eritreans were Muslims and the remaining non-Muslim population, being a heterogeneous mix of predominantly Christian and animist sects with an equally diverse linguistic mixture, -shared no affinities to the Ethiopian People – was a blatant lie” driven by ulterior motive. – “Nehnan Elamanan was right when it saw great tribal and religious division within the ELF (guided by the principles of the muslim league). 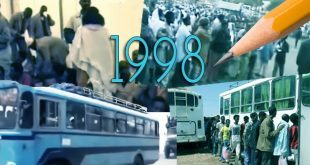 The Jihad movements of the 1990’s” is a precursor for future Ahmed Gragn in Eritrea. The Arabs, Egypt, the Muslim league, the descendants of the Muslim league, all Eritrean Muslims won. Eritrea is free. ETHIOPIAN AND ERITREAN CHRISTIANS LOST. Mission accomplished. Ethnic Tigrignas bled and died for Eritrea more than their fare share and lost. The Eritrean Kebessa is empty. 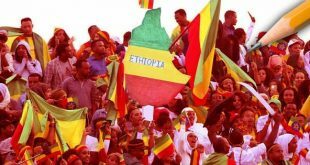 They lost their affinity to their Tigrayan brothers and sisters (ብኡነት – ኣምሓሩ ኣይስሞዑ!) and Wel-Wel is turning on his grave…………………. SO, WHAT IS THE SOLUTION? TELL ME: HOW DO YOU SOLVE THE CRISES THAT YOU’RE SEEING? Is the solution to reverse Eritrean independence? Is the solution creating an AgAzian nation? What is the solution that you see? The current Addis regime thinks “no war no peace” is the solution. The current Addis regime thinks humiliating Eritrea and occupying its sovereign territories would bring the two people together. The current Addis regime thinks bleeding Eritrea, starving Eritrean people, demonizing and isolating Eritrea from the world community is the way to bring the two people closer. Our “Tigrayan brothers and sisters” think, building state of the art museum (as a permanent reminder), for the dozen Aider Elementary School children that were victims of Eritrean air force, would bring the two people closer. Now let me tell you what I think. I said this before and let me repeat it to you. 1. – Eritrea is a sovereign nation. And I can assure you, when it comes to cutting the umbilical cord, there is no buyer’s remorse. There is no going back – only through natural economic and social integration. 2. – No-war-no-peace policy hearts Ethiopia as much as it does to Eritrea. With a no-war-no-peace policy, it is the people of northern Ethiopia (Tigreans and Amaras) that would get hurt the most – yes, more than Eritreans and more than any other ethnic in Ethiopia. 3. – A failed state of Eritrea is a precursor for disintegration of Ethiopia. 4. – Eritrea doesn’t need Ethiopia for economic survival. For every penny Eritrea earns by trading with Ethiopia, it can get a dollar for shutting its border with Ethiopia – so you know. More than anything else, Eritrea needs close relation with Ethiopia for stability and security insurance. I agree with you that the despicable actions of the Ethiopian government are part of the problem of why we find ourselves in this mess. I don’t have a simple solution like the proponents of Agazian nation (an Idiotic idea BTW), but I think that we first of all need to recognize that we have a problem and let go of the fear of looking after our own house (every other group is doing it without shame). Build a closer relationship with the people of Tigray and recognize that we are the same people and that our fates are interconnected is a good beginning to finding a lasting solution. You seem to be disconnected from reality or you are making a politically correct speech, with tongue in cheek. It is clear for all to see that, the youth of the Tigrinya speaking population are voting with their feet. A community/country that is losing its youth at a fast rate has no future. The reason for this, according to you, is because Muslim-Christian relations in Eritrea are love and kisses. unfortunately, your reasoning is far from the truth here. If it was correct, Eritrea wouldn’t have needed the firm hand of the EPLF/PFDJ. Dear all, the tragedy of our region (the Horn of Africa), mostly driven by extreme poverty and complete absence of rule of law, is now being abused and manipulated by the two cancerous Gulf states, namely Qatar and Saudi. These two countries did everything they could with their power and money to murder anyone who doesn’t agree with their wicked ideology. Now, with help of our hungry dictators, these Arab despots are desperate to inject their poisonous ideology to turn the people of Habesha murder each other. They are determined to eliminate the peace loving and hard working Habesha societies of the region through the means of violence and terrorism. Both,Muslim and Christians of the region have proven to themselves and to the world that they can live together in peace and harmony, and we don’t need any economic or religious investment from these particular Arab nations. It must be resisted! I would agree with you that influence of these two countries (as you accurately described S. Arabia and Qater and I would add the Emirates to them) on either Ethiopia or Eritrea must be resisted, but I would disagree on calling the two countries’ societies as Habesha societis. Ethiopia and Eritrea are not Habesha only, Eritrea is more than Habesha and the same goes for Ethiopia. Habesha is only part of a different whole! Indeed, the Emirates should also be part of the project of destabilisation and violence too, although the Saudi and Qatari have always been in the forefront in instigating financing so many extremists and tyrants throughout Africa & Middle East for so many years. With regard to my reference to Habesha societies, well, you might be right, i can’t argue with you given the fact that my knowledge on this subject is quite limited, but I didn’t meant to exclude some segment of the society that do do not seem to fit to that category. I should rather use inclusive terms such as Ethiopians and Eritreans to include all tribes & ethnic groups. I thank you though, for the correction. The United Arab Emirates has deployed a combat air group to Eritrea’s Assab airport to support its military operation in southern Yemen, Airbus Defence and Space satellite imagery shows. There were nine Dassault Mirage 2000 multirole jet fighters at the airport on 20 October, as well as two Sikorsky UH-60 Black Hawk helicopters, two Bell 407 helicopters, one Lockheed Martin C-130 Hercules transport aircraft, and two Bombardier Dash 8 turboprop airliners. This combination of aircraft is only in service with the UAE air force, which has about 40 Mirage 2000-9EAD jets and operates the Northstar Aviation 407MHR armed version of the Bell helicopter. The construction of 12 hangars at the airbase indicates that the UAE has deployed or intends to deploy more than nine Mirage 2000-9 jets. The hangars and fighters were not present at the base on 8 May. As they say, there is nobody more dangerous than a scared person (country) with a gun. Most worrying to Eritrea: if you extend out the Eritrea-Djibouti border across the Red Sea and into Yemen, you are looking at Ground Zero of Yemen’s Civil War, with the northern/western half controlled by Houthis and Southern/Eastern half controlled by the Saudi-coalition supported Yemenis. considering that the Emirates is THE major ally of Egypt and the one who played a major part in conspiring and overthrowing Egypt’s Mursi, one is lured to doubt and think if the Emirate’s military presence in the Horn of Africa is really about the Yemen war and not as much as about Ethiopia’s GDR and its expected rise which Egypt thinks that it would eclipse its role and influence in Africa . Whoa, if that is the case, then they have bought their way in every Ethiopian choke point: Djibouti, Asab and lately “Berbera airport and seafront” leased for 25 years. The base in Assab has hangers for Nitrric favorite bomber jet. I know what Abi thinks about this (hush Abi, continue shopping and practice “yes, dear”) but I wonder what Horizon, Amde and Fantiness think? 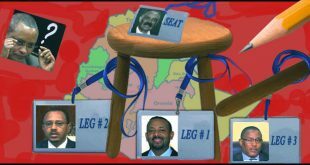 Is this an exercise of regional politics or just to state Ethiopia has 100 million people plus strong ? we all know the dictator can change direction in a matter of seconds , we all know also these so called 100 million strong population are divided more than any time in Ethiopian history , Even though awate.com could write about the emergency yet it jumps and walps all over the region with little evidence of every point , and this is waw , simply waw . The Fun is over and the none-sense Arab squabbling and senseless wasteful destructive internecine fraternal wars are no more a luxury they can anymore afford with the banging on their very doors as the Arabs’ future, all without distinction, is critically hanging in the balance. For once thought the man, Trump, would pursue a different none interventionist policies, refraining from plotting and conspiring against other nations, however, Donald Trump with a new declaration two days ago of the need to creating so-called “Safe Zones” Assad regime is very cruel and dictator might be good Safe Zones in Syria is or might undermining the Sovereignty and Unity of Syria and is following on the blueprints of his predecessor neoconservatives to fragmenting and the dividing into Botswanas of the Arab countries of the Middle East. The Arabs cannot afford to taking all is keep lying on their backs as the Arabs’ very existence and future of the Arab countries; regardless of political system and political orientation, are squarely in the balance with a Donald Trump Administration out to finish what the neoconservatives started more than a decade ago of Bernard Lewis’ new era of “Constructive Chaos” ravaging the Arab world. .
1) Put an immediate stop and end to all the enraging senseless all-destructive wasteful internecine fraternal wars in Syria, Iraq, Yemen and Libya. 2) Mobilize Arab resources to reconstruct what the senseless internecine wars destroyed. 3) Reconcile relations and start meaningful dialogues with neighboring Iran to defuse tensions, build the bridges of mutual trust, the promotion of political stability, peace and prosperity in the Gulf region. 4) Resetting Arab priorities emphasizing the enhancement of Arab Solidarity in view of the storming existential challenges facing the Arab world with the advent of a new American Administration pent on hostile confrontational policies that are xenophobic, racist and are openly anti-Arab. 5) The Arabs need to re-orient their economic, security, cultural and strategic relations towards the rising powers of China, India in Eastern Asia beside improving and forging closer relations with the Russian Federation. Historically, these countries never entertained hegemonic ambitions; neither had they had strings attached in their economic and political relations that hinged always on fair win-win dealings with the other countries of the world. 6) The Palestinians under Israeli occupation need to mobilize to resist the Israeli colonialist occupation to create noise so that the world awakens to their decades-long worsening plight. The Palestinian Authority needs to hand over the keys, admit total failure, all this as the so-called Oslo Peace proved fictitious, a ploy, a farce camouflage permitting Israel to carry on with its systematic colonization plans unfettered and unabated. It is near past the 11th hour for the Arabs to act in the interest of self-preservation as sovereign political entities, a common culture and the very existence of the Arabs as people and as a nation. Exceptional times require exceptional measures. and Western Powers want to make sure that there will always be an open water way from europe to the east, and from the horn they can also control the middle east and the persian gulf. Now, what is there for the small players, Ethiopia and Eritrea? The game seems as if it is being played on their backs and that of other countries of the region. How important is the economic advantage to both country and how much dangerous will it be to their sovereignty and independence? For a moment, distance yourself from seeing the developments with a religious prizm. I know that has been the lazy explanation OC everything that happens in our region, particularly in Abyssinia. It is also the readily available explanation of Muzungus and layman because it provides and easy explanation. For example, is Amoudii’s investment driven by the fact that he is ethiopian or Saudi, or Muslim, or a businessman? The lazy would use all depending on what they are arguing about. But the learned should know better. It’s Globalization, and religion is just another tool used to advance tactical objectives. If not that, we cannot explain why the Saudis Egyptians qataris and turkey would have difference if the main factor was Islam because you know what their religion is. But most people in our region want to play in the global market but still insist on locking themselves in a perceived religious purity. It will not happen unless a country chooses to be a hermit land. I can try to see outside of the religious prism, the problem is that religion crops up whenever the KSA deals with countries of the region. That was what happened in the 1990s when we saw religious extremism, where such things were unknown in ethiopia, and I doubt that its policy has changed. I think that al amoudi as an individual businessman represents himself and not the saudi government or his religion. It is different as much as the saudi government is concerned, where religion and the state are intertwined, and religion plays a pivotal role in the internal and external policies of the state. If it is pure neoliberal globalization that drives the saudi arabian external policy, so much the better, but I do not think that religion is out of the equation, and of course, I do not say that it is the main factor. Fortunately, state and religion were separated in 1974 in ethiopia and both main religions are independent and equal and they do not meddle in government. Ethiopia took the leap forward four decades ago. Therefore, it is not that we are looking for a lazy explanation, simply that the elephant in the room cannot be easily missed, and the KSA cannot see outside of the religious prism. Horizon, it is great to see that at least someone is not losing his guard. Religion doesn’t have any borders that is why you see so many Muslim Eritreans going way out of their way defending their Muslim brethren in the whole wide world. A non-muslim Eritrean is not worth anything. But the foolish highlanders have yet to learn anything. They are being wiped out and replaced by Sudanese Beja’s but it is immaterial to them. They will appease forever and watch their people perish one by one. Where did you pick that eritrean highlanders are only Christians? Why don’t you move to UK and help your bigot cousin Tesfatsion? It would be an opportunity to let your hate out and see how far it goes before it kills you. If you want further proof to my allegation, just read Lamek’s comment. He accuses Saudi Arabia of being only obsessed with Muslims and nothing else (you had a tint of that in your comments as well). I am not defending any of Saudi Arabia strains of Islam, or regional religious extremism whih by the way, are shared by all. For instance, it is lost on Lamek that the first (read the FIRST and MAIN) victims of Islamic extremism are Muslims—that is if one is not last to refer to statistics and genuine references. But according to Lamek, the lives of ten Christians killed by ISIS seem to weigh more than that of thousands of Muslims who are killed by extremist Muslims, their towns razed and entire populations uprooted. Their moral outrage is selective, worse than the Muslim extremists they criticize like parrots. That is a true example of extremism. Though it is not yet given an exotic, marketable label, it doesn’t fare any better than ISIS. But Christian extremists like Lamek, and his bigoted legacy, are having a free ride—victimizing entire (and already victimized) sections of your people doesn’t make you a progressive, liberal, just, and rational person. My assertion is (and in fact I can defend it until kingdom come), Muslims are the primary (by far, and far, and far) victims of Islamic extremism. Lamek cannot name any Muslim transgression on Christians in the region, not even one incident, unless he reverses 500 years to invoke the readymade “Ahmad Gragn” convoluted myth–and that is something I can also debate to smithereens. And if someone thinks that Eritrean and Ethiopian, or any other nationality of Muslims benefitted from Muslim extremism, they must run to the nearest shrink, or mental hospital—or a veterinary clinic if human clinics fail because so far, there is no cure for extremism and fanaticism. The above is not necessarily for you, but for anyone interested in the general topic. Coming to your serious note, I was commenting within context, about the Saudi Ethiopian relation and the political alignments of the entire region. In that, I am arguing that religion is not a main factor, and all is driven by geopolitics–in this case, Syria (pipeline, energy supply, and coffers of the invested countries) and the Nile. Finally, there is this notion that the Saudis in particular, and Muslims in general, are there to spread Islam. Since this perception has been entrenched in the minds for centuries, let’s see it critically. How many Christians were converted by Muslims? 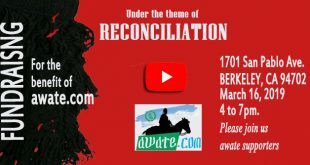 Now let’ see the other side of the coin, how many Tewahdo Christians were converted by other Christians to abandon their creed and adopt the creed of charismatic churches? Just how many people were converted in the last 20 years? Therefore, since many like Lamek assume that proselytizing is going on unabated, what does the reality tell us? What is there to prove of this Muslim scare that has been peddled to the unassuming since centuries ago? Is that assertion true at all and can it be defended? I hope you are taking a note and learn something positive, my friend. You really need a lens that help you view things with both eyes. It is very simple you have neighbors and learn how to leave with them. Ethiopia belongs to forty million musllims too, please stop embaressing yourself. What are you really trying to say? Can you tell me where and when I denied that ethiopia belongs to muslims as well, who constitute about 34% of the ethiopian population. It is for you to learn that they are equal players with christians in the economy, politics and government, not only in words but in reality. Moreover, we have no problem with our neighbors, provided they come as good neighbors and not with their baggages, which we never asked for. If ethiopian christians and muslims have managed to live in peace and friendship for centuries, they do not allow wahabism to disturb the calm waters of their peaceful coexistence. It is as simple as that. Open your eyes and try to see the tragedy in yemen. It is the result of i am the owner of the only truth and trying to implement it with sword and fire, which has already cost the life of more than 6000 innocent civilians. Wrong again, the war in Yemen is not about religion. In the sixties, Yemenis fought fierce battles against Egyptians, then they fought among themselves i a brutal civil war between North and South. Then Saudis fought with the USA (Christians?) against Iraq (Muslims?). Now the Saudis are fighting in Yemen against Muslims against Muslims–the real war is between Iran and Saudi Arabia. If you apply Islam in the current war between Yemen and Saudi Arabia, be consistent and apply it to the wars I listed–then see if your “it is religion” argument holds water. So, you say that the war is not about religious thinking unique to the one and the other, between the interpretation of islam, between sunni muslims and shias, and the conflict between the ksa and the gulf states and iran is not the outcome of this controversies, but may be due to ethnic differences. Can you separate sunni islamic viewpoint from shia, or are they the same? I can only ask, because I cannot answer. Muslim tribes and states fought among themselves for the sake of influence, hegemony, land, economic gains, political ideological differences, etc. So did christians and christian countries from times immemorable. There were different alliance one way or the other. If religion could have brought peace among its own people, it could have been wonderful, but it did not. Therefore, the heart of the matter, I think, is that it started as the difference in their viewpoint about religion, Islam, and conflict for the sake of regional hegemony and influence came with time. Many things influence the way we thing, and yes, religion is one of them. But since that applies to every religious person, including Abyssinians and Arabs, they cancel themselves out. We can’t say, Ahmed’s thinking is influenced by religion, but Tesfai’s is not! That would be hypocrisy and double standard. Therefore, religion is not the main factor in geopolitics. I hope we agree on that. On the Shiaa-Sunni Muslim divide, it is over 1400 years old. It’s as old as Catholic-Orthodox divide. Shiaa-Sunni wars happened just like Catholic-Protestant wars, just like Crusader-Muslim wars, just like French-British, just like Germany- Russia… so, wars are expressions and mostly caused by the human greed and obsession with hegemony. I am objecting to the “lazy and wicked” explanation because the religious element is the only explanation when a Muslim is in the equation. For and Eritrean or Ethiopian to adopt those lazy explanation is just disappointing. That shows you that we have more than our share of bigots and extremists, the Lameks of our region are equal to the ISISs but since Islam is on the receiving end, they think they are the most liberal progressive elements when the only thing they are preoccupied with, is bigoted designs and hypocrisy. There was no war between Iraq and Iran until Iraq felt uneasy with revolutionary Iran under Khomeini. That devastating war raged for ten years. Imagine who was siding with Iraq, the “Christian West and the Muslim Saudi Arabia” and others. If that was a religious war, what was the West doing there? You guessed it, it is not about spreading religion, but protecting national interest. The same with Afghanistan–the Muslims (this time Shiaa and Sunni alike) we in one camp, together with the USA and the west. Russia was alone. That can never be explained as a religious war though many Muslims were enraged by the “godless communists.” Here, it was used as a motivator, the same way Lamek is trying to motivate the poor commoners by sound bites, agitating them to hate Muslims for reasons he cannot explain. He wouldn’t recognize that based on history, the Gragn period war was religiously motivated, it had its causes and tools in the hands of cross welding Abyssinian kings and Quran wielding Gragn. today, I think Ethiopians should explain it terms of a civil war–Gragn was fighting in his land against the aggressive kings, he was not invading anyone. But Lemek, conveniently forgets that there weres other elements to that war: the cross wielding Portuguese and the imperialist Turkey. There was a time, in the Kebessa land where uttering the word ‘Wo Allahi – ዎ ላሂ” was considered as converting to Islam. Then came the era of Ghedli and mass migration to Sudan. After Ghedli and Sudan ‘Wo Allahi’ changed its meaning into ‘I think’. 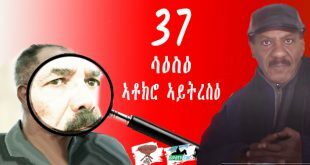 ዎላሂ: ተዘይተጋግየ – ሳልሕን ላመክን ሆራይዘንን ኣብ መጥዓም ክምስሑ ዝራአኽዎም መሲልኒ – kind thing – and was used in every sentence. The point: things are scary when you know little or nothing about them. I was simply trying to point out your nonsense fear of muslims for no apparent reason. TPLF is slaughtering your own people ( if you consider Oromos your people) and persecuting tens of thousands of ethiopian activists, journalists, and muslim scholars in countless jails, and here you are lecturing about the tragedy in Yemen. Whats amazes me is that you and your likes never said a word when evangelical leaders visited Ethiopia and promised to build hundredes of churches or when jews leaders visited, never questioned Israel’s war crimes against plalestinian women and children. But when it comes to Arabs, it is all about expansion of Islam as if they represent the 1.6 billion muslims around the world. Arab governments do not represent Islam they are the same war criminals as ones commiting atrocities in Iraq, Syria, Libya.. so is the puppet TPLF invading somalia and killing thousands women and children. So chill out exteimisim is in every religion and it is all for political purpose. All religions have been living in peace for thousands years and nothing has. hanged ever since. Yes, somebody should lecture you about the tragedy in Yemen. You could be blind to it because the regime you support so adamantly is cooperating with those who are responsible for this crime by sending troops and by leasing a seaport and an airport to facilitate their mission and benefit from it economically. Hi Horizon; would please stop making up stories. what is your sources when you claim that Eritrea sending troops to Yemen and in fact there is no even credible evidence that Eritrea leased the port of Assab. so, Stop fanning false rumors. Of course, as usual, the regime in asmara has denied it as a false allegation, which suits the ears of those who support it. You see, the famouse “Where is the evidence?” saves the day very easily, and it is a very good tactic that has served the regime up to now. Hi Horizon; I didn’t see any quotation mark. That is why i have inquired you about your sources. At least have the class to say “my bad i forgot to put it in a quotation mark” rather than resorting in to toothless and classless excuses. come on man! I think I told you many times I do not support the regime. It is funny though for you to oppose a regime that is almost exactly the same with the one you worship. Nonetheless, Islam is going to stay forever, (read history and learn from your TPLF’s futile attempt to oppress and divide Islam), and is going to out last you and future generations like you, so stop panicking and have faith on whatever you believe. It is worth of paying attention to the facts on the ground which you seem too blind to see or obsessed with Islam, Pentecostal and Jehovah’s Witnesses are among the fastest growing religion in Ethiopia and both are imported. I don’t think there will be a risk of losing “independence” in here. Ethiopia have managed to make the the renaissance dam (GERD) a feit accompli and it will be hard to reverse it. Most of the civil work is almost near to completion, the electro-mechanical works are in progress. The dam will start generating electricity in one year time with one or two turbines. Ethiopia is dictating the game in Nile waters. In history, Ethiopia has been subjected for Egypt’s cynical tactics and destabilization activities. It appears now that time has gone and Ethiopia delivered one of world’s giant dam in the Nile. So in these game Ethiopia is clearly the winner. The smart move would be for Egypt to negotiate in how many years the dam reservoir should be filled, with no major impact to downstream Egypt. Eritrea with sane mentality you would assume that it could be beneficiary of the dam as the nation is also an energy thirsty, but so far Eritrea hasn’t been played any active role yet that could be felt in Ethiopian side. So I expect Eritrea to be less affected by the dam or the geo-politics of Nile. Hi Kazanchis; what if Egypt decided to send few F-18 and more appropriately Dassault Mirage-2000 and turn your dam in to ashes when GERD is 98% completed? then what? I know No Ethiopian leader will entertain this possibility but you may tell me what your Ethiopia response will be. Just remember you couldn’t even fight and win Alshebab; so be realistic. For a military man, you dont seem so smart. Have you seen any recent photos of the Dam? It would have to be dozens if not hundreds of sorties to “turn the dam into ashes” even with your beloved Mirage. The dam is designed to be structurally robust enough to hold back a volume of water that is going to be the largest lake in the country. Hidasse lake will hold more water than Lake Tana. The only reason it may not be larger than Lake Tana is that the water is going to be held back in a deeper valley than Lake Tana’s. Once the dam fills, because of the sheer volume of water held back, such an act also becomes an immediate attack on downsteam Sudanese population and economic centers perhaps even all the way to Khartoum. If attempted before the dam fills, the only thing such an operation will do is delay the project, but by then Egypt would have become an international outlaw. There may be legal pathways that DisDonc alluded to that Egypt may fall back on, even though I am not convinced of its potency. To stop the project it will take a change in the Ethiopian political will. Or a catastrophic change in the Ethiopian state’s economic fortunes. Neither are likely in the short term, and if it does happen, the project will simply be completed by another government sometime down (let’s say 20 years) the road. Such a government will undoubtedly have a more robust Ethiopian technical expertise. Also, the relative burden on the Ethiopian economy and state to finish the project will be significantly less. And also by then, the French will clamor Ethiopia to buy Mirage 2020 to defend it against Egyptian Mirage 2000s. GERD is done. Egypt will find its tongue and try talking. They will break the ice by joking about how much of a doofus Isayas is. out of service. If the Egyptians possess the exact weaponry I am talking about, that is. I mean, the problem for Egypt is deeper than it appears. Even if there is no water reduction and they worked it out with Ethiopia; for Egypt, the water that will flows after the dam is filled is a dead-water. All the micronutrients that flow with the water to keep Sudan and Egypt alive agriculturally will be suspended deep in the bottom of the dam. I.e. The water that flows there after is useless for any kind of agriculture. If I was the leader of Egypt I have one and the only choice; I am sending the whole squadrons taking it out the dam. At the same point if I was the leader of Ethiopia, I will build not one but three GERD’s right after anther on the path of Abay, unless the Egyptians compensate me with the exact benefits what I would get from building the dam. I think there is a reason why Gibe111 is financed over 60% of the expenses yet GERD is none, who wants to put their money for something that will be demolished at its near completion? The way I see it, Eygpt has no choice but to go all out and destroy the dam. They rather deal with consequences than dying slowly. One thing is sure, Ethiopian Air force is dead for good and Egypt has no fear for any payback from Ethiopian Air force. Egypt doesn’t have any military jets that can fly from egypt all the way to western ethiopia. even ur beloved F18 doesn’t have the capability to travel more than 2000kms from the southern tip of egypt, in case it has an air base there, to western ethiopia. The only way egypt can utilize its air capabilities is, if it can use air bases in either sudan or eritrea. are these countries willing to call for a full scale war against ethiopia just to serve the interests of egypt? I doubt it! but it is not entirely impossible scenario but they only have a year or so to call for that becase after that it will be too late. by then the dam would start filling and two out of the 16 turbines are operational. bombing the dam a year from now means declaring a sucide mission on Kahrtum as it means flooding karthum to complete annihilation. but the case of egyptian jets flying form egypt to ethiopia is no less than a fiction. they simply don’t have the capacity. Your comment reminds me of the saying “for a hammer every problem is a nail”. 2) Strategic break with Sudan on the Nile.. Sudan benefits by far from the GERD which has the possibility to transform Sudan into an agriculture powerhouse as the long dreamed breadbasket of the middle east. A controlled Blue Nile gives Sudan the ability to draw and use the water at will. 3) Ethiopia’s filling of GERD is a temporary problem. The GERD won’t allow Ethiopia to use it for irrigation or anything that reduces flow. Which of these problems can be solved by bombing? Egypt can blame the Aswan Dam for losing its micronutrients. Actually the best outcome for Egypt is to dismantle Aswan. The amount of evaporative loss of water they would prevent is phenomenal. They don’t really make meaningfully much electricity from it anyway. I don’t think you get the size of the dam. Don’t think of it as a bunker. Think of it as a mountain, with steel reinforcements throughout. Now, if there are ordnances that can destroy a mountain in just a couple of passes, it would be the type that the nations that have them would not be too happy to hand over to a shaky government like Egypt’s. If such an ordnance is used, it would be pretty evident whose it is, so such a nation would have to be such a slave to Egyptian interests they would rather lose much political and diplomatic face than have Egypt reconsider its petulant childish act. And it is possible you can count in one hand those who would have the means. Start with the Security Council permanent members: which of them is willing to be accused of participating in an attack on a peaceful civilian project in one of the world’s poorest countries just so Egypt can stay childish? And lastly, I don’t think you really appreciate just how much Sudan is a beneficiary of GERD. Moneywise, it is in the billions. With oil in the doldrums, GERD allows Sudan to fulfill its promise of being the breadbasket of the middle east. Destroying the dam before filling it is destroying that prospect. Destroying the dam after filling is worse.. On this dam, Ethiopia and Sudan are joined at the hip. Saudi visit to the GERD signifies the opportunity for Gulf money to invest in Sudan’s agriculture because of GERD. That is much more enticing in the long term than the current kerfuffle around Yemen. The military option as a realistic tool to stop this project is closed. End of story. Hi Amde; I think you are forgetting that we are talking about two countries in Africa. One African country so confused, it calls the rest of Africans monkeys and slaves; if it wasn’t for the life line of African water Nail, the Egyptians will never mention the name of Africa. The other African country called Ethiopia is void to wise leadership and pron on to false pride coupled to three thousand none existence history. If Eritrea and Ethiopia can go to war over barren land Badime and sacrifice hundreds of thousands of lives; you are mistaken to neglect the very possibility of war between those two African countries. the writings are on the walls for everyone to read between the lines. After Eritrea declaring over and over that there is nothing to talk about the border with Ethiopia is foregone conclusion; now Eritrea is saying “Eritrea is going to exercise its right to self-defense, unless Ethiopia vacates Eritrean land” why do you think of that, Amde? call me alarmist but something is brewing in the horn of Africa while your country is scewing around. if Ethiopia had a strong leadership; the urgent order of business is to take out Eritrea out of the equation by making peace with Eritrea but you don’t have wise and visionary leaders and the consequences are far dangerous. You may be right. After all, PFDJ runs a mercenary regime. There are still enough young Eritreans whose lives can be rented out. Now that Egypt is in trouble, Eritrea finds courage. Well in one sense, I can see the logic of the timing of Eritrean rhetoric and posturing. Completion of the GERD marks the end of Eritrean usefulness to Cairo. It will mark the beginning of the inevitable change to Ethio-Egyptian management of the Nile watershed. So, Eritrea holds a fast expiring – which possibly has put it into a use-it-or-lose-it mode. Are you going to go and volunteer? Now is the time and Badme is the place. What good is your military expertise if you can’t use it at such a time? General Nitricc is enlisted in the Egyptian Airforce. I am wondering if you are in the army 🙂 What happened? F18, Mirage or a flying camel don’t destroy anything on their own own–it is the type of ordinance (the rockets in your case) that matters. If you think Egyptians have the necessary ordinances (regardless of international laws, political repercussions, etc) they can load it on a single engine crop spraying airplane and deliver it. So, Dassault or no Dassault, the carrier is immaterial, any airplane that can avoid detection by the radars can do it. I am commenting because you see to think Dassault is the only solution. Having said that, your imagination is fantastic but it is just a fantastic imagination, nothing more. Hey SG: there is no political repercussions or any international laws that will matter when 90 million people’s life is at stake. besides why do you think Egypt bought all kinds of Mistral-ships from France and the two U -209 submarines from Germany not to mention what they are ammessing from Russia. They have technology to send any fighter jet undetected; they mean business while the Ethiopians are worrying about Eritrea. are you serious, all those who amass weapons must use it? Have they been using it? But if you say so, you are the military expert. Any advise for the Ethiopians how to build air shelters? Hey SG: i deed read few catalogues lol! seriously though; If i was Ethiopian leader or advisor to the clueless Ethiopian prime minister; I will do or advice to stop going forward the building of GERD. simply put, you can’t build something you can’t protect. Weyane have done some good thing for Ethiopia but one of the crime they have committed is destroying the great Ethiopian air force. The weyan thought they can built their own Air-force like they did with army but air force is something different animal. it takes years if not decades to build effective air force, very expensive and very detailed process. therefore; Ethiopians need to chill and build their air force like once it was and then finish the project of the dam. right now, if the egyptians to do something which they will, it will have national effect, it will destroy every Ethiopian moral. 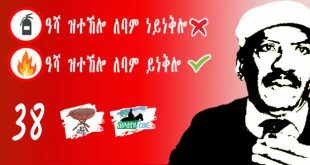 so, in conclusion, solve your problem with Eritrea; solve your internal problems and go get what is yours, Abay. right now, stop the project, again you don’t build what you can not defend and protect. I never expect something better from a person who lives off of leaves. Thanks for welcoming Ras Abi. Well well… you came up with military terms which I’m completely have no clue about. A guy from heart of Addis hardly understands such things. 🙂 But, I wonder what sort of military capabilities Egypt actually have in its disposal to smash an ICC roller-compacted concrete of such size (175m high and 1,800m long), I really doubt that case would work. I suspect that’s why Egypt is murmuring much, if it was that simple then bingo. They don’t have to engage in bilateral discussions and so on. Concerning Shabab, Ethiopia as far as I know has no significant threat from Shabab or whoever, our borders are secured so the target was ensuring security and that box is ticked. 😉 Bring more intellectual debates so that we all could learn, Awate.com is by far the best in such, Kudos!!! ……..The Gulf Arabs had their differences over the years: Saudi Arabia and Qatar had a border issue, Qatar and Bahrain had a similar conflict over the Devil Islands that lay between the two countries, UAE has a major difference with Iran over the Abu Musa Islands……………shaebya should learn something from this and settle down Eritrea’s issue with its neighbors i.e..Ethiopia,Djibouti,Yemen and Sudan …….should play the win win game. Greetings AT, thanks for this eye opening summary on the ongoing events in our region. Also congratulations to Ethiopia on achieving yet another milestone-the Gibe3 Dam. There is no doubt that Ethiopia is on its way to becoming the powerhouse of our region and beyond in near future. What is needed is to couple these huge infrastructure undertakings with more fairer sharing of the political power as well as economic opportunities among the various contituents of the country. I just feel sorry for my country, Eritrea, which for the time being finds itself under the arrest of anti progress and anti development clique, and couldn’t join the renaissance drive in our region spearheaded by Ethiopia. Dear Abraham, your comment is to be appriciated. As for democratic governance that should have been acompanied this progress is I think another leaderships share. A scintillating account of regional high-stakes diplomatic brinkmanship. Somehow reminiscent of 19th century diplomatic maneuvers- particularly the Thirty Years’ Wars of 1816-1848. What I don’t understand is that I thought loyalty and giving one’s word mean a lot in this region more than any other. Lord! there is more hook-up and breakups than in a high-school teenagers. It is a great analysis. I believe that the Saudis are the ones who initiated to the current warm relations with Ethiopia. The Nile, including the renaissance dam, is out of question in this relation because it is strategic to Ethiopia. Ethiopia won’t compromise any geopolitics at the expense of it. The Saudis want to punish CiCi. As mentioned in the article Egypt is not with Saudi Arabia with regard to the many issues of the region. The reason behind this is the Gulf States and particularly, Qatar, is against the coup that CiCi led to topple Mursi and CiCi wants Saudi Arabia to influence Qatar change this stand. So far this has not being achieved yet. Aljazeera made public what it said it is a phone conversation between CiCi and one of his generals. That CiCi knew that this conversation was recorded or not , time will tell. In that conversation he harshly criticizes “how corrupt the Saudi and Emarati royal families are in a way they let their money easily taken by the Americans”. When CiCi says the above in a recorded phone conversation, he is aware of a Egypt’s strategics relations with Saudi Arabia. He is simply making a show as if he wants as the Arabs say سحابة عابرة a passing cloud to pass with its itchy cloud . So as Egypt has strategic relations with Saudi Arabia again the dam is strategics to Ethiopia. Eritrea understand this but will join the party if there are some stakes to be taken. Stakes like media exposure that show PIA is not isolated internationally and any other hidden stake could be money or weapon from Egypt. This is a refined geopolitical analysis of our region, that is intricately connected with the conflict of the Arab countries. It is excellent analysis in a way it displays the game of the powerfull countries and their surrogates play at the risk of the people of the region. In this geopolitical fight, Ethiopia seem to be the beneficial actor if the early indicators did it mean anything at all. AT good job. I would like to commend you on a very well written article. So much to chew on, and it is humbling to note the ever growing echoes of WW1. As they say, history may not repeat itself but it rhymes. 2016 is exactly 100 years from the midway point of WW1 i.e. 1916. In 1917, Tsarist Russia was overthrown and 1918 saw the destruction of the Ottoman and Austro-Hungarian empires. Great work; this is a good review of the situation in the broader region, and is a fitting end of the year gift to the forum as well as the general readership of Awate.com. There is no doubt that the region has been going through an extensive shape up politically and even socially. It is nation-states in travail, and the Sykes-Picot Agreement of 1916 seems to have run out of steam. But, the sad part of the developments is the cost the peoples of the region are paying; it is tragic to say the least. It feels like history is repeating itself in that when national entities collapse, monstrous and murderous forces emerge and unleash unimaginable cruelty in the name of pseudo causes pertaining to religion, nationalism or ideology. History has myriad records of such terrible epochs such the Thirty-Years’ War, Hundred Years’ War, the wars of Inquisition, and many others in many spots of the world. Our worry as Eritreans is how our unfortunate young country would fare in the thick of the developments of the region this AT edition has so ably penned. Given the diplomatic-political mediocrity and recklessness the despot at the center of our nation’s affairs is known for, it is legitimate for the Eritrean citizens to experience anxiety. For instance, how will the internal social-demographic cleavages and imbalances the regime has been causing during the past decades play out in the future since the developments in the region do bear the potential of impacting the Eritrean scene? It’s judicious for conscious Eritrean to take note of what is going on just 60 km. across the Red Sea, and the selfish involvement of the regime for no reason but financial greed, as the edition has mentioned. That was a superb analysis. It’s amusing how situation changes swiftly. I remember few years back Ethiopia ceased diplomatic relations with Qatar temporarily. Now, they’re getting along. It’s interesting to have flexibility of approach in almost everything. With flexibility nations evolve for better. I was in Dawro zone in 2011 when Gibe III project was 50% complete and I was overwhelmed by it back then. Now, its complete and it’s a massive achievement as well as a remarkable milestone for modern Ethiopian history.